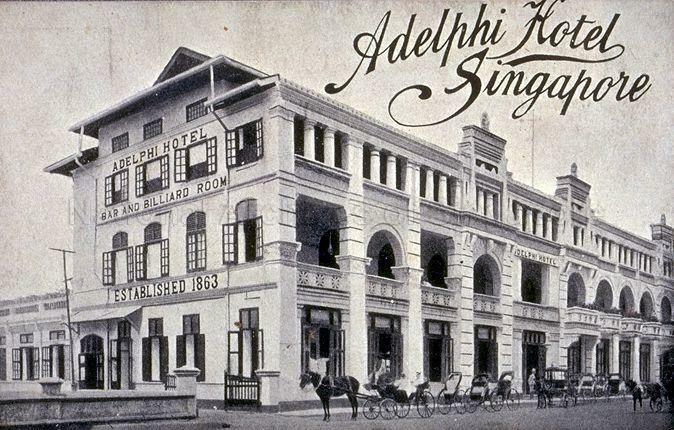 The Adelphi Hotel at Coleman Street. Originally established in Commercial Square (now Raffles Place) in 1863, it was first moved to High Street before being located here. It closed its doors finally on 24 June 1973 and the building was demolished in 1980.